FileTrain is a powerful tool for automating any type of workflow. Besides copy, move, delete, FTP upload/download and email functions you will enjoy features like image processing, XMP-routing and database communication. FileTrain opens up for very advanced workflows that saves days of manual labour. FileTrain is all about automation, it doesn’t really matter what type of automation you are looking for, FileTrain can be configured to handle most tasks! Automatically get files from FTP servers, email addresses or file servers. Once downloaded FileTrain can sort them based upon literally any criteria you can think of, even on metadata inside files. Distribute files automatically to several external locations at once via FTP or email. FileTrain will of course also let you copy or move files to other destinations. FileTrain can read and write metadata such as XMP and IPTC data. This can be used when monitoring an e-mail addresses, download all e-mails with attachments and insert message/sender information into the actual file for further processing. Change size, resolution, colorspace or crop images. FileTrain even lets you change resolution of images without using resampling, great for standardizing and optimizing your image workflow. FileTrain has built in functions to communicate with callas pdfToolbox Server to preflight and fix PDF files. Even without any 3rd party software you can split and merge PDF files. Bi-directional communication with 3rd party databases, MIS, ERP, Web2Print or ad booking systems allows you to use customer and other administrative information for further file and customer communication automation. No matter what the input sources are, FileTrain will monitor the activity. Automatically get files from FTP servers, e-mail accounts or file servers. FileTrain allows you to retrieve files continuously or even on a specific time of the day. Different files goes through diff erent workflows, PDF files should be preflighted, images needs to be checked whether they comply to your standards (color space, resolution etc). This is easily done within FileTrain. Read and write metadata such as XMP and IPTC data. This can be used to monitor an e-mail address, download all e-mails with attachments and insert message/sender information into the actual file for further processing. In FileTrain you have the ability to set up advanced error handling as well as having one station handle multiple files/actions at once, making it a robust and powerful solution for all your file handling. Within the actions menu, you decide on what will happen to these files: delete, move, copy, e-mail, FTP, modify, insert/extract metadata, update a database – the possibilites are endless. Certain processes need to run all day long, but some only need to run once a day or maybe at 2 AM every Sunday morning. This type of advanced scheduling is available in FileTrain! FileTrain uses macros to handle dynamic values. With the help of these advanced macros files can for example be renamed following complex rules, databases can be updated, emails can be sent etc. FileTrain directly connects to 3rd party applications like callas pdfToolbox Server. This allows for immediate access to preflight and other PDF processing tasks. Any automation other application, such as Elpical Claro for automatic image enhancement or ColorLogic ZePrA for colormanagement and InkSaving can easily be connected through a Command Line Interface or HotFolders. Improved connectivity of SFTP and FTPS servers. Updated versions of FileTrain do not contain any plugins that you may have. 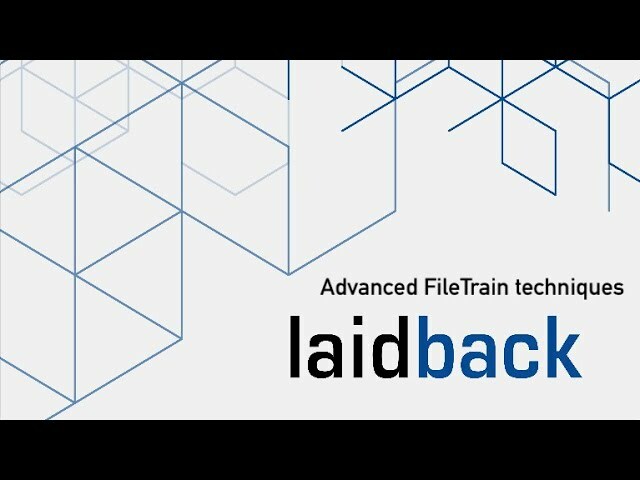 Please contact Laidback Solutions (support@laidbacksolutions.se) before you update your FileTrain if you have plugins. NB! If you are using FileTrain to communicate with the Cargo system, you will need Cargo 2.7.3 or later in order to work with FileTrain 6.8.1 and later. Database action did not execute when filtering was done on emails without attachments. Email action added line breaks in body text which could result in odd looking emails. Additional fix from 6.8.10 and 6.8.11 where some images were not included preventing adding rows in multiple row setup, such as bucket setup. Fix of multiple rows in bucket actions which was not editable (this error was introduced in 6.8.10). Improved handling when using zip actions where the source files could be locked for a period of time after the zip action. New macro BASE64_DECODE for decoding Base64 encoded strings. New macro FILE_SIZE to compute a size of a file. Fix at startup where the splash window sometimes could stall the startup. Fix on Linux where export dialog would not handle the confirm buttons. Fix for email with SSL connection where this connection suddenly could be dropped. FileTrain helps you to reduce the boring, repetitive tasks in your daily production. It is a powerful tool for automating any type of workflow. Besides copy, move, delete, FTP upload/download and email functions you will enjoy features like image processing, XMP-routing and database communication. Beyond simple file moving and preflighting, FileTrain enables far more complex workflows. This webinar explores an advanced station to store preflight analytics (in combination with callas pdfToolbox) and a station to build PDF business cards from database information on the fly (a basic understanding of FileTrain is required to follow this webinar). If you missed the introduction webinar, you can watch it here. 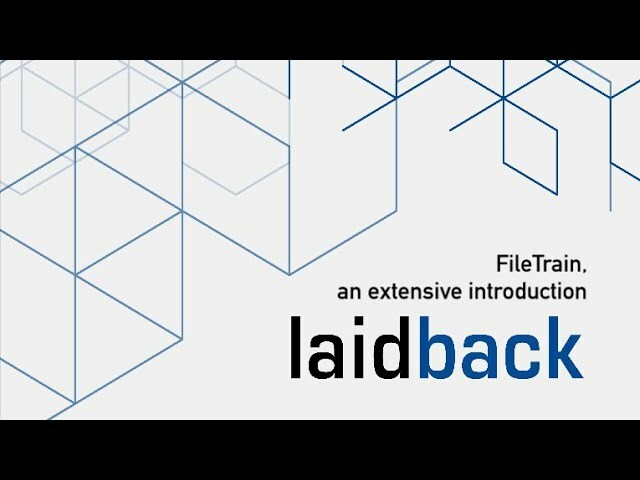 This webinar takes a closer look at Laidback FileTrain and explains a number of techniques to build maintainable workflows. The focus lies on how FileTrain works with sources, filters and actions, explains how to debug and organize your work (a basic understanding of FileTrain is required to follow this webinar). If you missed the introduction webinar, you can watch it here. Besides copy, move, delete, FTP upload/download and email functions, you will enjoy features like image processing, XMP-routing and database communication. 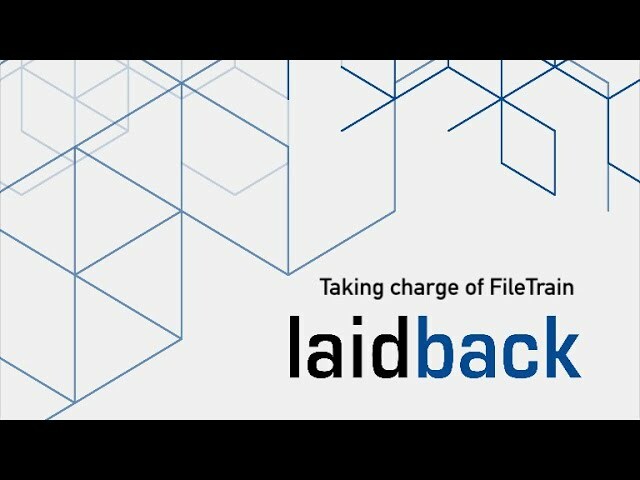 Watch this webinar recording to get a thorough understanding of what FileTrain from Laidback Solutions can be used for. The webinar introduces the solution from a technical and commercial point of view and will lay the basis for a series of more advanced FileTrain webinars. 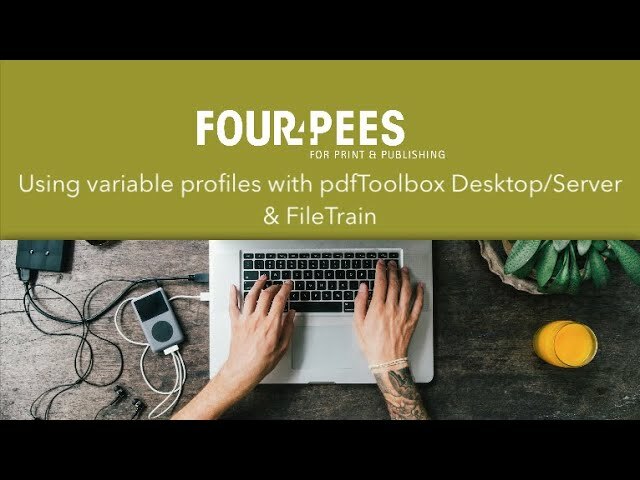 This webinar provides the full story on using variables in pdfToolbox Desktop and pdfToolbox Server. To make things clear, a practical use case of an advertisement workflow where multiple ad sizes need to be checked will be built throughout the webinar so that you see the technology in action. This webinar features pdfToolbox Desktop/Server and FileTrain. This webinar answers the question on which technology is best suited for which use-case. After a (high-level) review of each solution, the pros and contras of automation using these different technologies are summarized so that you can take an informed decision and use what is best for your environment.